In a move that has been condemned as a “provocation” by Azerbaijan, the government of Armenia on May 5 is going to discuss and provide its conclusion on a bill dealing with the formal recognition of the Nagorno-Karabakh Republic’s (NKR) independence. After the government’s opinion the bill authored by opposition MPs Zaruhi Postanjyan and Hrant Bagratyan (ex-prime minister) will be debated in the country’s legislature where the final decision will be made. Postanjyan is known to have repeatedly suggested recognizing the independence of the Nagorno-Karabakh Republic (NKR), but the bill would not become law due to the position of the executive and the parliament majority that a formal recognition of the NKR would mean withdrawing from internationally mediated talks with Azerbaijan on the conflict settlement and could trigger renewed hostilities. 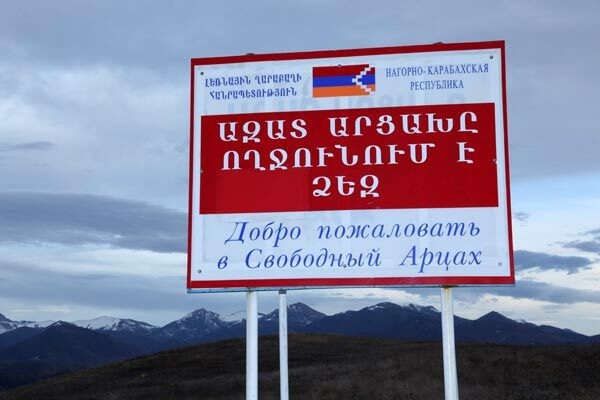 In the current conditions following the April 2-5 war in Nagorno-Karabakh and continuing tensions in the conflict zone, however, some experts do not rule out certain progress of the bill. Meanwhile, the Armenian side does not hide that the bill is intended to play a constraining role in the prevention of a new possible aggression by Azerbaijan. “If Azerbaijan starts a new military aggression, the issue of the recognition of Nagorno-Karabakh will be included in the agenda,” Armenia’s Deputy Foreign Minister Shavarsh Kocharyan said. Vladimir Hakobyan, a spokesman for the Armenian president, said, meanwhile, that Armenia is closely following the “delusional statements of Azerbaijani officials, which are not only surprising, but also ridiculous”. He reminded that the bill was presented by opposition MPs. “Let there be no doubt that in the event of recognition of the Nagorno-Karabakh Republic, the public will learn about it first from President Serzh Sargsyan,” the presidential press secretary said. In his turn, Chairman of the NKR Public Council on Foreign Policy and Security, former Deputy Minister of Foreign Affairs of the NKR Masis Mailyan said: “Armenia must recognize the Nagorno-Karabakh Republic. Now the situation has changed. And politicians have revised their approaches. Earlier in Yerevan they thought such recognition could lead to a war or disruption of the peace process. But life has shown that even without this recognition Azerbaijan started the war and actually torpedoed the negotiation process, as well as violated the ceasefire agreement of 1994.” Now, the diplomat added, there will no longer be any fears on this matter, and Armenia must take more drastic steps. That Armenia may recognize the NKR and conclude with it an agreement on mutual military assistance was first stated during the April war by President Sargsyan. He said that if Azerbaijan continues aggression, Armenia will make a move to formally recognize the NKR’s independence. So far, Armenia has refrained from formally recognizing the NKR because of its participation in negotiations under the auspices of the OSCE Minsk Group. As part of these negotiations, the parties have been discussing the so-called Madrid principles, which also imply territorial concessions. And when the question of recognition was raised, many Armenian politicians would wonder whether the recognition should take place within the current NKR borders (with territories gained during the 1992-1994 war) or within the limits of the autonomous region that existed during the Soviet times. If the recognition takes place within today’s borders, then the negotiations and the Madrid principles can be regarded as finished.